I came to Japan not knowing how to drive. I thought I was coming to Japan, land of superb trains. Actually, I was coming to Hokkaido, land of trains delayed by snow and deer. I made it through two years without a car, but eventually I had to admit I needed to drive to survive in the Japanese countryside. In some ways, getting into driving school was the hardest part. This was a small town driving school. They'd never had a foreign pupil and no one spoke any English beyond the word "car." The terrifying boss of the school had to agree to admit me first. He spoke grumbly old man Japanese, which I've never had much luck understanding. At the first meeting he said that it would be difficult. What he meant was, "No." I chose to ignore this with a smile and say, "Ganbarimasu," (I'll do my best) a lot. One of his concerns, though, made me realize that driving school in Japan would be very different from driving school back home in the UK. "I am worried that you will not be able to understand the heart of the spirit of driving safety," the boss said. I wasn't really sure what to say to that. The heart of the spirit of driving safety? I'm fairly sure something so poetic wasn't on the syllabus back home. I was admitted to the driving school after three visits of proving myself worthy. My first real task didn't go well. I had to do a survey to find out what sort of driver I was likely to be. I had to draw dozens of circles and count lines. Then there were 50 psychological questions (Are you easily distracted? Do you often feel murderous rage? etc.) answered on a 'Yes' – 'Sometimes' – 'No' scale. My fiancé, whose Japanese is much more fluent than mine, came with me. He helped translate the questions. "Can you tell where voices are coming from?" The instructor administering the test looked at me, shocked. "Really?" "Yes. I'm sure," I said. "Oh wait," my boyfriend said, taking another look at the question, "It says,"Do you hear voices out of nowhere?" Sorry." "Ah! No, no, no!" I frantically tried to explain that I wasn't mentally unbalanced. I left the driving school feeling disheartened. Maybe the scary boss had been right. Maybe I wouldn't be able to learn to drive in Japan. But I'd already paid my money, and there was no refund. 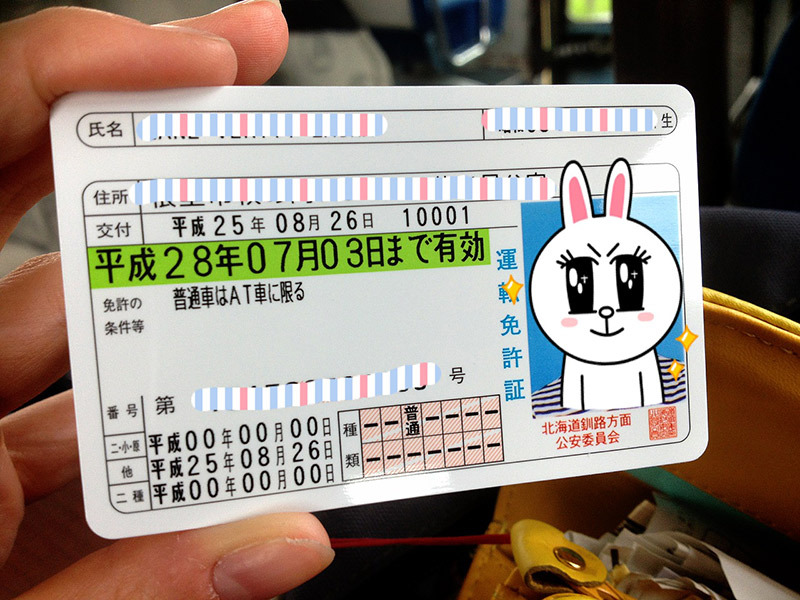 Learning to drive in Japan is not cheap, just under 300,000 Yen. That's around $3,000 US. I was paired with an instructor who was notorious for his constant gesturing. The other instructors liked to do impressions of him. It was true that his gestures were unusually elaborate, but that was perfect for me. Even if I couldn't understand what "makikomikakunin" meant, I was able to gather the meaning as my instructor swung his whole body round and pointed from his eyes to the rear left window. After the rocky start, the actual driving lessons were much smoother. The instructors were all very friendly and forgiving. I spent the first two months driving round a practice course in an old converted taxi car. The course had traffic lights, a hill, a railway crossing, a huge metal wall to imitate the banks of snow that pile up in a Hokkaido winter, and a series of tight corners called "The Crank." I drove round and round that course for weeks, each lesson practicing a set of maneuvers that eventually built into the test material. There was nothing spontaneous about the test. I had practiced it many times and memorized the route I would take. It was possible to fail this test, but the odds were stacked in your favor. It was the same as the English exams teachers I knew made for students by giving them the same questions they had already studied in class. I wasn't expected to use my own judgment. The judgment had been made already. I just had to follow it. This was rather jarring coming from the UK education system, but I quickly saw it from the student's point of view. It was relaxing. I didn't have to think. I just had to reproduce the same actions I had been shown. This was just the first test, the one that allowed me to get my permit to practice on the real roads. The practice course was actually quite a good system. It allowed me to get to grips with the controls without worrying about traffic. Once I passed the practice course test, I was given a permit to go out on the roads. I had to check this permit out from the driving school each time I went to practice. This meant I couldn't do any practice with friends outside the driving school, even though technically it is allowed. 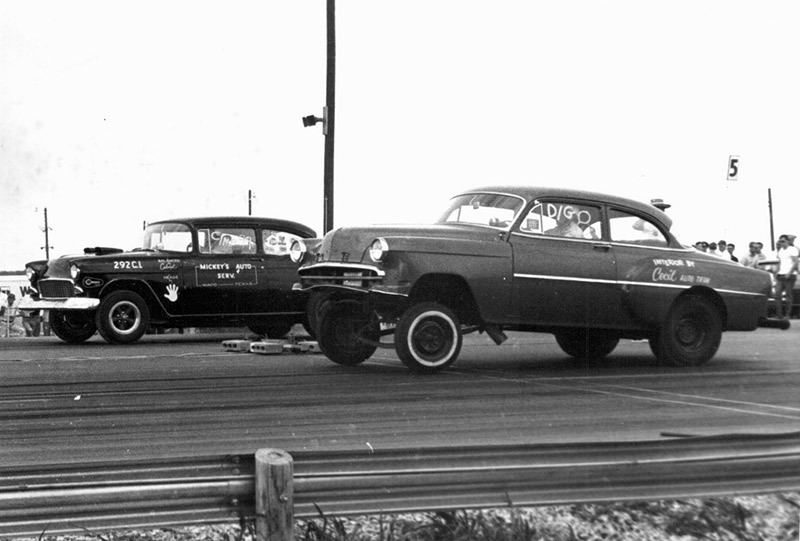 Without that piece of paper permitting me, my practice hours were limited to those with the driving school. This is standard in Japanese driving schools, so don't expect to get any extra practice done in your own time if you learn through a school. Practicing for the test on the real roads was just a repeat of the system on the practice course, except with the extra hazard of other drivers. Anyone who has driven in Japan, especially Hokkaido, knows that is no small problem. I quickly learned not to imitate the driving of those around me or risk a rebuke from my instructor. I practiced the routes and maneuvers over and over, which I was finally tested on, much the same way I had been tested on the practice course. Decision making didn't come into it. As well as the practical part, there were theory lessons. The driving school classroom looked like the classrooms I taught in, green blackboard, spaced out desks and chairs, and a lectern. There was a creepy doll strapped into a child seat in the corner. Sometimes there were a few other people in the class and sometimes it was just me. You could do the modules in any order. Each lesson had the same format. You watched a video. (The highlight was the wonderfully awful movie about drag racing remorse which hadn't been updated since the 1980s and was played on VHS.) Then the instructor went through the same material in the textbook for the last 15 minutes. I had three textbooks. Two were in Japanese. My third one was a bilingual textbook that had all the same material, in Japanese on one page and English on the other. Without that textbook I would have been lost. I highlighted the heck out of it. There were also a few lessons that broke the pattern. All drivers in Japan have to take a first aid course. This is an excellent idea in theory. However, after seeing the lackluster and uncorrected performance of the other students doing CPR on the mannequin, I didn't feel very reassured. Another unusual lesson was to show us the danger of not wearing a seat belt. Three other students and I were taken out to a sketchy shed at the rear of the driving school. There we got into a car that was lifted up on hydraulic ramps then rolled down a short track to smash into a bumper. It was the world's shortest and least fun roller-coaster. The impact as we rolled at about 7km/h was surprisingly painful, even with seatbelts. Afterwards we had write an essay about our experience. Apart from that essay, I kept expecting to be asked questions, or to prove I understood. However, all the theoretical instruction was one way. The instructor instructed. We listened. Anyone who's spent time in a normal Japanese High School classroom will recognise the system. Again, it was relaxing, in a way. I didn't have to worry about making a fool of myself in my dodgy Japanese. However, at the same time it was intellectually frustrating. It was easy to fall into the trap of not listening. Anything I missed would no doubt be repeated again, or I could just look it up myself later. I saw more than one fellow student taking a nap. It didn't matter if you listened diligently or slept, the result would be the same. You'd get the stamp on your timesheet showing you had attended that module. Noticing this, I realized why it could be so hard to motivate students who grow up learning in this way. What was the point in paying attention? The result would be the same. The same things that frustrated me in Japanese High School classes worked in my favor at driving school, letting me hide the times I didn't understand. As long as I passed the tests at the end, it didn't matter. After two practical tests, dozens of practice theory tests, two real theory tests (in English), five eye tests (including one where I was so surprised to be asked for an output that I forgot the Japanese and English for 'red') and one trip to the testing center where I sat the final theory test, I got my license. However, I still didn't feel like I had enough driving experience. It took several months of driving on quiet roads and practicing making my own decisions to build up confidence. Despite that, I am glad that I learned to drive in Japan. People often talk about wanting authentic Japanese experiences. 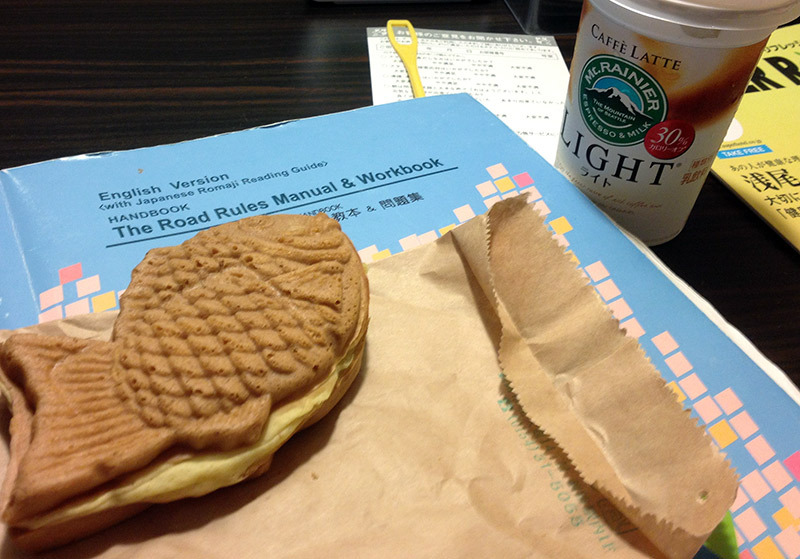 Driving school isn't glamourous, but it is authenticly Japanese in good ways and bad. Finally, the scary boss proudly told me I had understood the heart of the spirit of driving safety, (even though I'm still not sure what it is exactly). I now feel more confident doing things in Japanese and the freedom driving has given me is wonderful. So You Want To Learn To Drive In Japan? If you have a license back home then you are in luck! Japan has license exchange agreements with many countries. 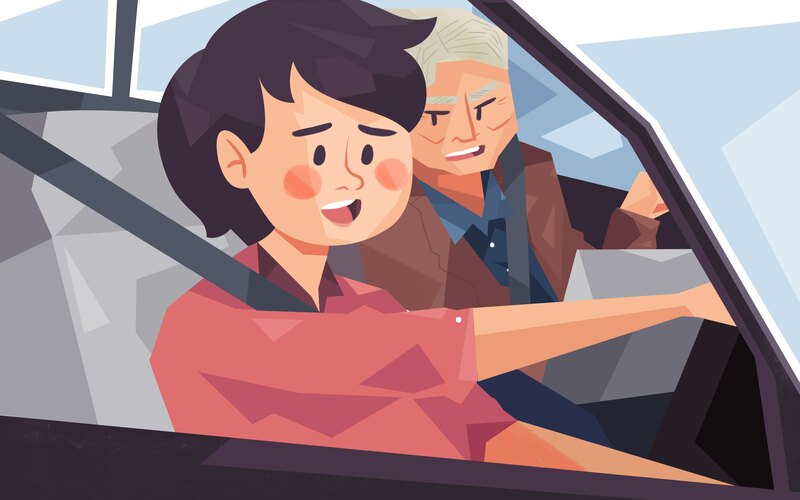 You can swap your license for a Japanese one with very little fuss (though Americans have to take a short test). If like me however, you've never been behind the wheel before, don't worry, learning to drive in Japan is far from impossible! Some Japanese language skills: Although you really don't have to be fluent, you do have to have reasonable comprehension ability. You'll pick up driving vocabulary quickly, so don't worry about that too much. Not all prefectures have English language theory tests. If you are more confident in your Japanese reading skills you may be able to pass the tests in Japanese because you can practically memorize the questions before you take the test. Time: Doing it part-time in evenings and weekends took me four months. If your schedule is more flexible you could do it in three. If you have the time, some driving schools run two week start-to-finish residential courses. 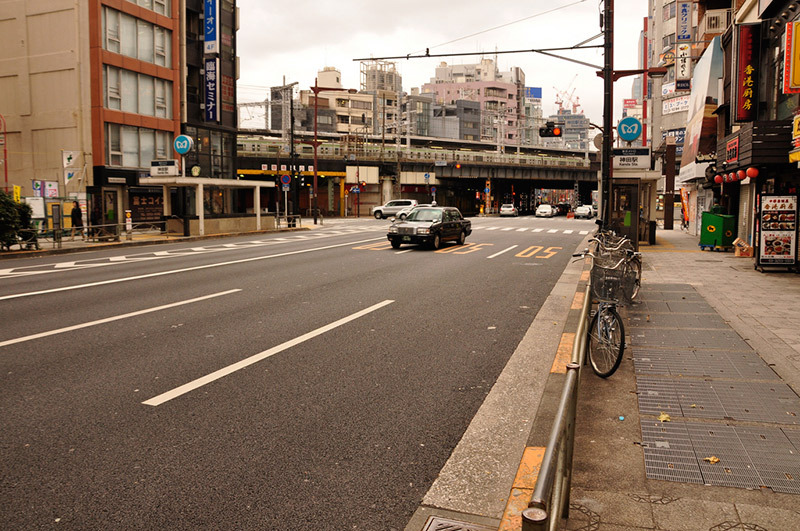 Money: Learning to drive in Japan is not cheap. The fee will probably be around 200,000-300,000 yen. Learning automatic is cheaper than manual. Textbooks and tests also costs money, though some driving schools include this in the price. Patience: Learning to drive will entangle you in some classic Japanese red tape. It is a good idea to go with a Japanese friend the first time. This will help smooth your entry into the school. As a final note, if you are from a country that has a license exchange agreement with Japan, most also work the other way round (check with your home country or state's licensing body). So if you learn to drive in Japan, you can take that skill with you when you go home!